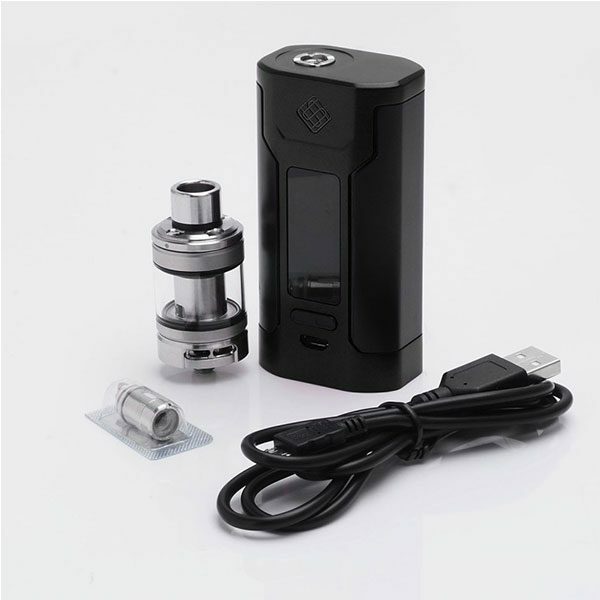 The WISMEC Predator 228 with Elabo Kit combines the newest and incredibly powerful predator box and tank. The WISMEC Predator 228 with Elabo Kit combines the newest and incredibly powerful predator box and tank. It is a compact dual mod that features a quick charge system, ergonomic size, OLED display and other features. Also the device features a lateral fire button along the device’s side for the decent firing experience. The device also makes use of the balance charge technology which charges both the batteries equally in order to bring the safest charging mode. It has been designed in a way to ensure consistent power output. With the help of reverse charging capability, it acts as a power bank in order to charge the external devices via micro USB port. A great product overall. Awesome service by Haze Smoke Shop. Highly recommended product. It is always a pleasure while vaping with this device. Price is very reasonable. Very nice product. This is an excellently packaged product. Haze Smoke Shop has awesome collection of authentic products. A powerful kit with a lot of amazing features. Build quality is very good. Price is reasonable too. For a beginner, it is an excellent product at such an awesome price. I definitely recommend it. Performance is amazing. It is a very reliable product. Features are very good. Price is also nice. I like this product very much. It is super easy to use. Vapors are tasty and clouds are huge. Design is superb. Battery is of top quality. It lasts long. Its design is ergonomic. Size is also perfect. Best product. I am very happy to invest in this vaping device. It helped me a lot in quitting smoking.